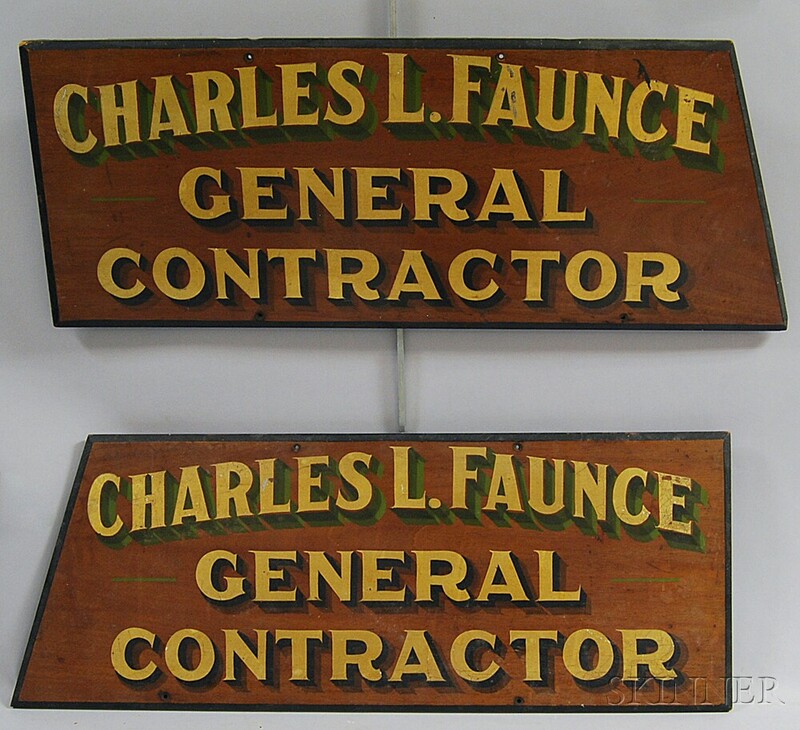 Pair of Painted and Gilt Trade Signs, 20th century, reading "Charles L. Faunce/General Contractor," ht. 11 1/2, wd. 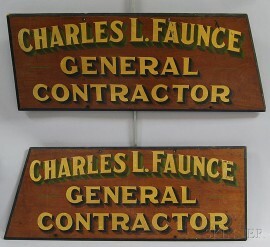 30 1/4 in.